NOAA's GOES-R weather satellite will soon be launched into space— becoming our nation's most advanced geostationary satellite to date. So what does that mean for you? Here are six reasons to be excited about GOES-R! Perhaps you turn on the TV or radio, or check your favorite weather website or smartphone weather app to get the latest forecast. No matter the platform of your weather forecast, the data and information for those forecasts come from NOAA's National Weather Service (NWS). Weather satellites, like the GOES satellites, are the backbone of NWS weather forecasts. Satellite data travels to the NWS where supercomputers and expert meteorologists run models that turn out a sophisticated forecast. The next generation GOES satellite, GOES-R, will be more advanced than any other weather satellite of its kind and could make the answer to the question "What's the weather going to be?" more detailed and accurate both in the near term and further out into the future. Do you live in an inland state, a state with a coastline or a state with a mountain range? Great, that's all of you! 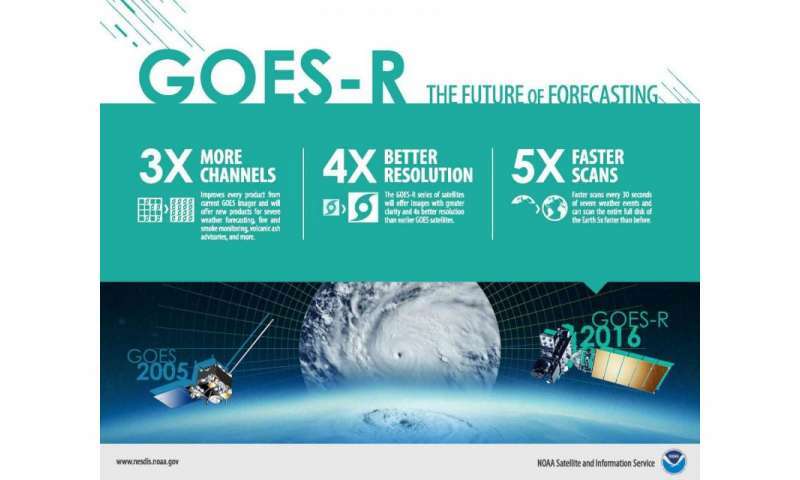 Data from the GOES-R satellite will be a game changer for forecasters in your area. Here's why: satellites are fitted with instruments that observe weather and collect measurements. The primary instrument on the new GOES-R satellite will collect three times more data and provide four times better resolution and more than five times faster coverage than current satellites. 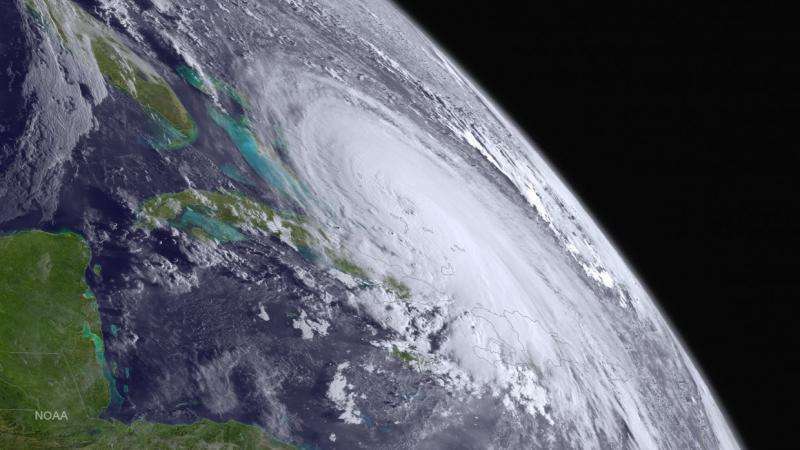 This means the satellite can scan Earth's Western Hemisphere every five minutes and as often as every 30 seconds in areas where severe weather forms, as compared to approximately every 30 minutes with the current GOES satellites. Pretty cool, right? This expedited data means that forecasts will be timelier, with more "real-time" information in them, allowing NWS to make those warnings and alerts that much faster, thereby potentially saving lives. And a faster forecast is a big deal for our economy. Commercial shipping and aviation are just two examples of industries that rely on up-to-date weather data for critical decisions about how to route ships and safely divert planes around storms. Other potentially dangerous phenomena can also be observed by satellites, including volcanic ash clouds, dangerous fog and changing hurricane intensity. And, GOES-R will be part of the satellite search and rescue system called SARSAT. In 2015, the system helped saved 250 lives in the U.S. alone. Click here to view an interactive map of all 2015 SARSAT rescues. We all depend on a power grid for virtually every aspect of modern life. But power grids are vulnerable to bursts of energy from the sun that can affect us on Earth. Luckily, GOES-R will be sitting over 22,000 miles above us, and in addition to measuring weather on Earth, it will monitor incoming space weather. Geomagnetic storms, or space weather, occur when a solar wind shock wave or stream of magnetic particles from the sun affects Earth's magnetic field. These storms have the potential to bring significant disruptions to every major public infrastructure system, including power grids, telecommunications and GPS. Space weather observations from GOES-R will complement those from the DSCOVR mission, providing a comprehensive look at incoming solar storms. You can learn more about space weather monitoring at http://go.usa.gov/czakx. How different will GOES-R be? Imagine going from your classic black and white TV to a new high definition one. It will enable NOAA to gather data using three times more channels, four times the resolution, five times faster than the current GOES satellites. This faster, more accurate data means better observations of developing storms and other severe weather. GOES-R will also feature a revolutionary new instrument called the Geostationary Lightning Mapper, or GLM. Based on years of research, the GLM is the first operational lightning mapper ever flown in space.This instrument will not only measure when lightning strikes the ground, but it will also track lightning in the clouds— the lightning responsible for charging the atmosphere. Severe weather often exhibits a significant increase in lightning activity many minutes before radar can detect a potential storm giving forecasters critical minutes needed to predict dangerous storms. GOES-R may be the first of its kind, but it is the heir to a rich tradition of geostationary earth observation. In fact, NOAA has continuously operated a GOES satellite for over 40 years. 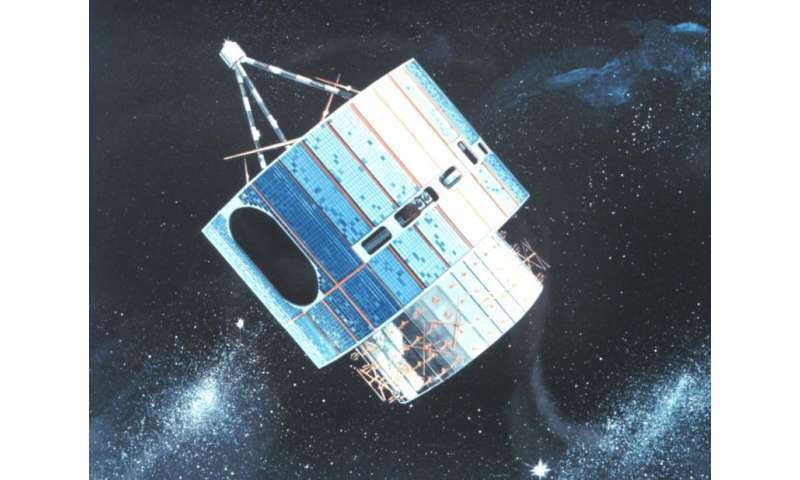 The GOES program formally began on October 16, 1975, with the launch of GOES-1. Although the satellite was spin-stabilized, only viewing Earth about 10 percent of the time and providing data in only two dimensions, it gave forecasters their first near-real time look at atmospheric conditions from a fixed location. The following generations of GOES satellites and their instruments continued to improve, experiencing significant enhancements over the years. Since 1975, GOES satellites have taken well over 3 million images! 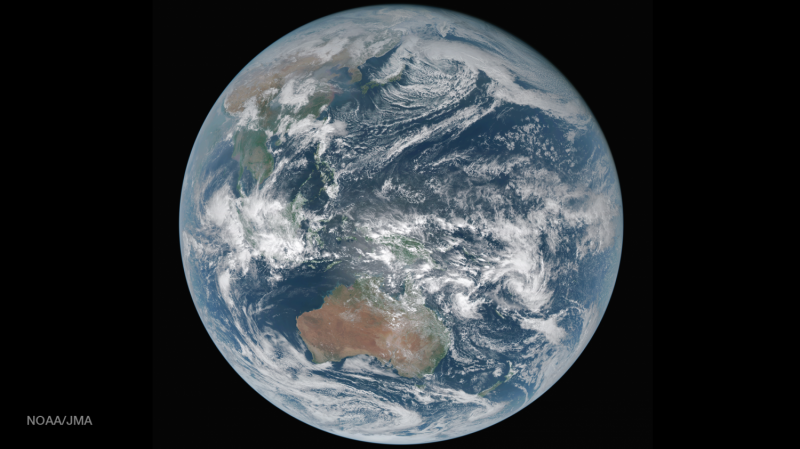 Operating from two primary locations, GOES East and Goes West, NOAA's Geostationary Operational Environmental Satellites (GOES) have been providing continuous imagery and data of atmospheric conditions, solar activity and Earth's weather systems for nearly 40 years. Now, with the next generation of weather observing satellites on the horizon, NOAA is poised to once again significantly improve weather forecasting and severe weather prediction.